Hypnosis, when using proven therapeutic procedures, can be a highly effective form of treatment for many mental, psychosomatic, and physical disorders. For example, through the use of regressive techniques, an adult patient may mentally voyage back to a point in youth that was particularly troublesome, allowing the healing of old emotional wounds. Another patient can be led to understand that emotional pain has been converted to physical pain, and that the pain can be eliminated once the source has been addressed. Or, a person suffering from chronic pain can be taught to control the pain without use of medications. There are a number of techniques for correcting dysfunctional behaviours such as self-destructive habits, anxiety disorders, and many others. Hypnotherapy has been used to stop self-destructive and addictive habits like smoking. It has also been used to curb the urge to eat for over eaters, to stem the disruptive actions of tics, cure insomnia, stop bed-wetting, and minimize anxiety. Excessive stress can be generated from any number of sources and can be the springboard for anxiety. Some of the more prominent sources of anxiety and stress for which people seek hypnotherapy are: public speaking, test taking, and job stress. Hypnotherapy also works well for other anxiety disorders such as phobias and has proven to be an effective treatment for mild to moderate depression. Hypnotherapy was also more effective at enhancing quality of life of cancer patients and relieving anxiety and depressive symptoms, whencompared to patients receiving traditional care. The first stage of a hypnotherapy consultation will generally involve an informal chat and some questions from the therapist to ascertain the nature of the issue and the necessary route to overcoming or dealing with it. The next stage is hypnotic therapy. After this there is always time left at the end of the session for you to ask questions or to discuss any experiences you had whilst you were in the relaxed, hypnotic state. Hopefully one day we will do away with the strange and mystical stereotype of the hypnotherapist once and for all. 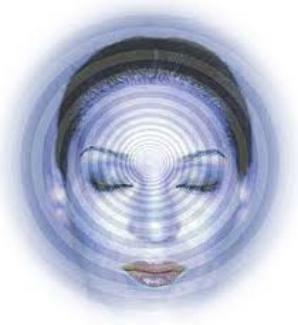 The magic is all in the mind of the person receiving hypnotherapy and hypnotherapist skills.